It is a card without contact, with a pre-defined route. It contains 2 trips, an IDA trip and a RETURN trip. Valid for use on Saturdays, Sundays and holidays. You can cancel the first trip when you want, and for the second trip, you have 15 days from the time of first use. When going up, the person holding the card must bring the Round Trip Card to the reader which thenl cancels the trip. 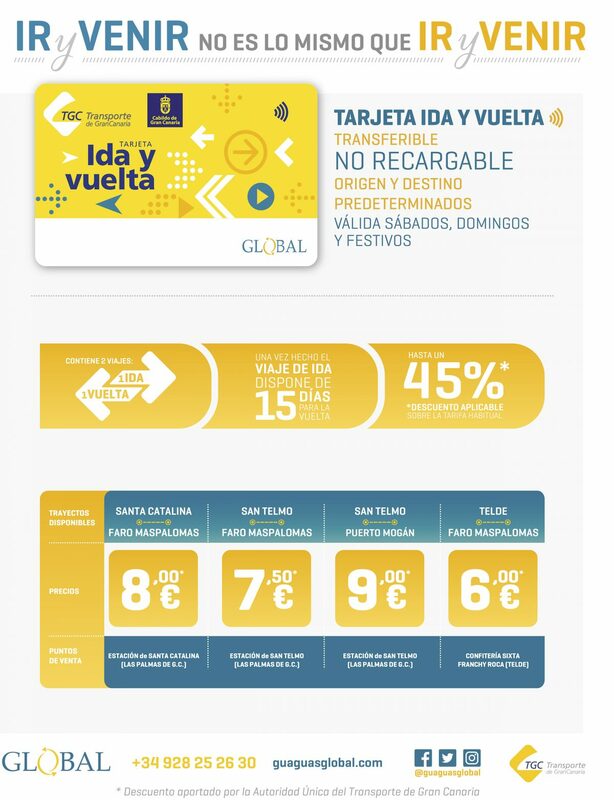 This card allows passengers to benefit from different bonus savings depending on the route, with a direct discount of up to 50% of the cost of the direct payment journey.